Barbara Gonzales (Tahn Moo Whe) was born in 1947 as the daughter of Anita Martinez and eldest granddaughter of Adam and Santana Martinez, eldest great-granddaughter of Maria Martinez. 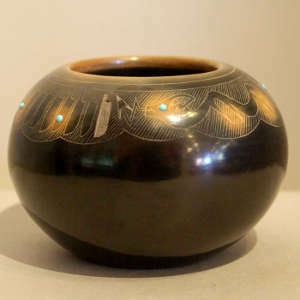 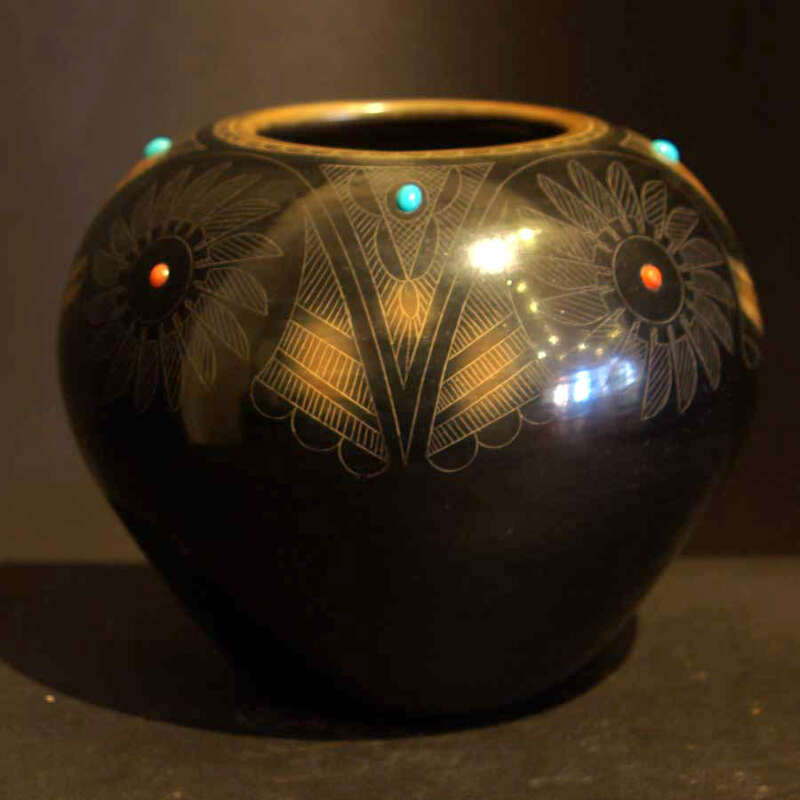 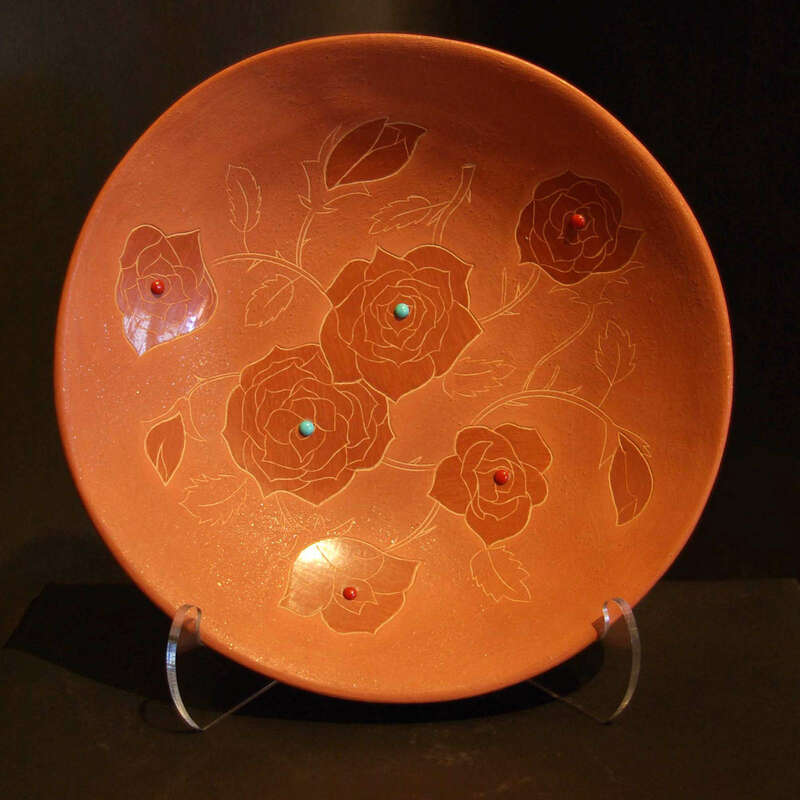 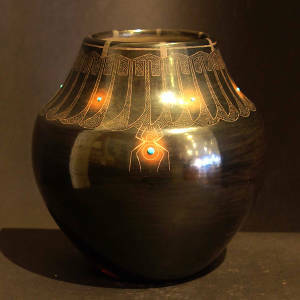 She grew up making pottery with her family during the development of San Ildefonso blackware. 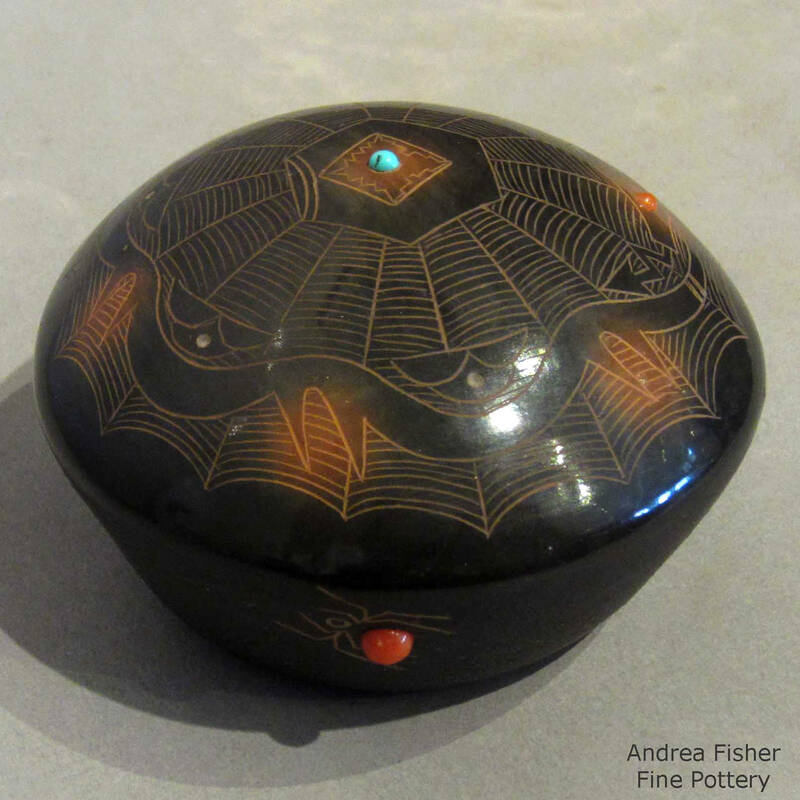 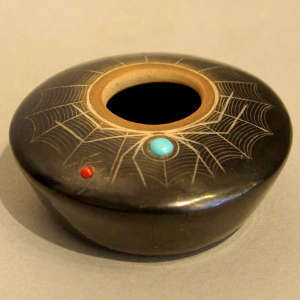 However, she is known for intricately carved red, black and polychrome bowls, inlaid coral and turquoise and her "good luck spider" motif.